HABITS THAT CHASE MEN AWAY IN A RELATIONSHIP - Onome Talk Am! Sometimes in life, as women we wonder why men lack interest in a relationship with us. Then the big question, what is driving them away, or are we not beautiful enough? Some even go as far as questioning God. Lying: so many relationships have been ruined as a result of lies. Nobody wants a lying spouse and no one can feel comfortable living with a partner who has skeletons hidden in his/her cupboard; someone you cannot give your word for, who lacks integrity. Lying in relationships chases men away especially when the woman is used to lying her way out of situations. A man can never feel comfortable with a woman who lies because he cannot tell if she is lying about her feelings for him. Never tell a lie, people should be able to vouch for you and take you by your words. Bad/wrong dress sense: Ladies with bad dress sense scare men away, due to the fact that no man wants to hang around a shabbily dressed woman who he will not be proud to introduce to his friends as his woman. According to an adage, “the way you are dressed is the way you will be addressed.” If you dress like a housemaid, you will get the treatment of a housemaid.Therefore, dress smartly,be beautiful and watch men drool over you. Being a bore:There is a difference between being gentle and quiet and being a bore .You should be able to draw the line.Every man like a bit of adventure.A woman who bores her man will always have issues and most cases find it hard to have a man stay by her side, because her unadventurous attitude creates a vacuum which the man would desire to fill, cos the man will easily get bored after a little time with the woman. Spice up your relationship,get adventurous,you don’t need to have a fortune to achieve chat.Make your times together unforgettable and watch him yearn for more. Dirt: Dirty women turn men off. Most men cannot stand a woman who is filthy. A woman with body or mouth odour will drive men away from herself because no man would want to stay under terrible smell. It doesn’t cost anything to be clean,you do not need a million dollar to be be look clean.Have a bath at least twice in a day, brush your teeth twice too and you will realise how beautiful you look and smell. Cheating: This is the greatest crime in relationship, cheating breaks trust in relationships. A woman who cheats on her man is not worthy of being in the relationship because it shows that she is either not ready/immature for a relationship or she does not love the man. In relationship cheating is an appalling sin. Does it cost much to stick to a man at a time? Heavy make-up: Women who use heavy makeup send wrong signals to men that they are not beautiful enough or lack self esteem to have it done moderately. Heavy makeup portrays lack of confidence and style. Heavy makeup tells men that there is a defect the woman is trying to hide. Please,tone down on your make up, your man doesn’t need you looking like a scarecrow. Pride: oftentimes a woman with an air of arrogance or pride repels a man, because no man would not want a domineering woman by his side. A woman who does not respect her man and always batters his ego to make herself feel better would scare men away speedily. 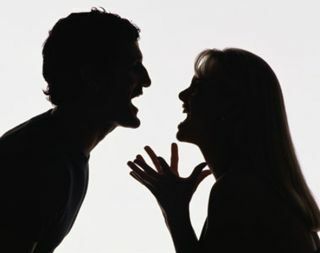 Anger: a woman who can’t control her temper has destructive tendencies and is prone to being deserted by men, because with her little disagreements can lead to violence, this tends to scare men away.No man can stand this, please sisters learn to control the anger. Laziness: Anytime any day an independent woman attracts a lot of men to herself, due to the fact that she is not seen as a liability but an asset, an industrious woman can stand on her own and does not need to depend on a man to eat or drink, but a lazy woman cannot / rarely attracts men to her side as no man wants to have a liability bestowed on him in the name of relationship.Get something doing sisters.Show yourself worthy of having. Nagging: This is the height of it all as no man enjoys staying around a woman who nags constantly, it makes men feel less respected and apprehensive. Nagging is a way of telling your man in the wrong way that he does not know or do the right things. Women who nag don’t see the good in their partner they often focus more on the negative part. Men have ego which they seek to protect and constant nagging deflates the ego of men and as a result causes a man to flee from a nagging woman. And the list continues, men in the house can we hear more from you? Well thot out article.. Most women these days would need guides like this for somewhat meaningful relationship. That said, there’s always 2 sides to a coin, most especially, in relationships.. Waiting for the other view.. Thank you Charlie. …You can be sure sure that I will write about the other side of the coin.In the main time, continue visiting for more eye opening posts. Ouch. ….so sorry about your experience with your ex, the issue is most ladies cannot seem to differentiate a man that truly loves and care about them and they lose out on true love.